Master the basics of climate science so you can better understand the news, evaluate scientific evidence, and explain global warming to anyone. These are the lecture videos from the free University of British Columbia (UBC) course, "Climate Literacy: Navigating Climate Change Conversations", which tackles the scientific and socio-political dimensions of climate change. This free online course leads you through the science behind how the earth’s climate system works and how humans affect the climate system. It introduces the basics of the climate system, models and predictions, human and natural impacts, mitigative and adaptive responses, and the evolution of climate policy. It also looks at impacts of climate change and ways that people are addressing it, such as the development of renewable energy technologies and transitions toward low carbon, resilient communities. The course is a total of approx. 7 hours spread over 10 modules - 39 videos (module synopses here). Click on each link for the Module playlist or watch the entire course in the video below. The instructors for the course, Sarah Burch, a Banting Postdoctoral Fellow at the Institute for Resources, Environment and Sustainability, and Sara Harris, a senior instructor in Earth, Ocean and Atmospheric Sciences, draw upon their expertise in climate change governance and climate science, respectively. This online course provides the tools and knowledge to help better understand and respond to climate science denial. Denial 101x: Making Sense of Climate Denial explains the science surrounding climate change, introduces the most common climate myths, identifies the techniques used by those myths, and gives the opportunity to apply learning by identifying and responding to climate myths found in today’s media. The University of Queensland, in partnership with the Global Change Institute at UQ, is offering this course via the edX platform, including online discussions and engagement with fellow learners from across the globe. Basic high school science is a recommended prerequisite. The Consensus Handbook written by John Cook, Sander van der Linden, Edward Maibach and Stephan Lewandowsky. This concise, practical booklet examines how opponents of climate action have been attempting to misinform the public and policy makers about the consensus for decades, and it explains why. Drawing on numerous scientific studies, the handbook also recommends how to respond to this misinformation campaign by effectively communicating the extent of the scientific consensus. It also provides guidance to climate scientists who are invited to "debate" about climate change. In this free online course presented by TUDelft, you will learn how to make the transition to 100% renewable energy from wind, solar, and biomass for electricity, heat, and fuels for a sustainable future. Learn how to assess the potential for energy reduction and the potential of renewable energy sources like wind, solar, and biomass and then how to integrate these sources in an energy system, like an electricity network. This course takes an engineering approach to look for solutions to design for a 100% sustainable energy system. See the full course details HERE. With so much information available online, trying to figure out which information is credible - and what is not - is a real challenge. When so much of what we read falls outside of our own expertise, how can we know which headlines and news articles are consistent with science? What if online coverage could be peer-reviewed? Using the Hypothesis annotation platform, this community of scientists goes through a variety of online media articles and provides ‘feedback’ on the scientific accuracy of the information presented. Readers can view these annotations directly alongside the original texts and see exactly where the article’s information is consistent - or inconsistent - with scientific thinking and state-of-the-art knowledge in the field. To be properly informed, citizens need access to journalism of the highest accuracy and the tools to evaluate the credibility of what they read. This project aims to achieve both by bringing the expertise of the scientific community into the world of online journalism, and providing readers with top-level “credibility ratings” for a broad range of online news articles. Global Weirding is a 12-episode PBS Digital Studios short series. Host, Katharine Hayhoe is a Canadian atmospheric scientist living in Lubbock, Texas. She studies climate change, one of the most pressing issues we face today. An evangelical Christian, she doesn’t just accept global warming on faith: she crunches the data, analyzes the models, and helps engineers, city managers, and ecologists quantify the impacts. The data tells us the planet is warming; the science is clear that humans are responsible; the impacts we’re seeing today are already serious; and our future is in our hands. As John Holdren once said, “We basically have three choices: mitigation, adaptation, and suffering. We’re going to do some of each. The question is what the mix is going to be. The more mitigation we do, the less adaptation will be required, and the less suffering there will be.” See her FULL BIO. With a Doctorate in climate science from Oxford, Adam Levy is trying to make sense of climate change via silly YouTube vids. While completing a doctorate in climate change (atmospheric physics) at Oxford, he realised how big the gulf was between the science and our actions. So, he created ClimateAdam! A YouTube channel dedicated to making important information about climate change clear, accessible and engaging based on sound science and solid humour. This National Geographic TV series features firsthand accounts from people who have been affected by the occurrence of climate change, with a team of correspondents from the entertainment and news industries traveling around the world to report on effects of global warming and what people are doing to find solutions for it. Among the stories told are Oscar-winner Matt Damon's reporting on the health impact of heat waves around the globe, Golden Globe-winner Michael C. Hall's traveling to Bangladesh to get a vision of the future, and Emmy-winning journalist Lesley Stahl's heading to Greenland to examine the fate of the Arctic. Actors Don Cheadle, Harrison Ford, and Jessica Alba are among the other entertainment icons who contribute reports to the hour-long episodes. The roster of executive producers includes James Cameron, Jerry Weintraub, and Arnold Schwarzenegger. The real-life stories and the changes taking place in our natural world offer a unique and timely teaching opportunity for educators. The science and evidence of the climate change presented provides the foundation for authentic learning experiences through interdisciplinary inquiry. The Years of Living Dangerously (YEARS) lessons plans and resources correspond to the science and issues presented in the series, encourage students to analyze the relevance of climate change to their daily lives, and investigate how they can be part of the solution. Instruction on climate change provides ample opportunity for interdisciplinary teaching. Writing and service learning projects are provided to connect science to language arts and life skills. More Than Scientists is a growing community of climate scientists sharing their personal hopes and concerns about climate change. Beyond the lab coats, they’re parents, community members, and concerned citizens sharing their hopes for the future. How does climate change? And what happens to environments and ecosystems when it does? In this episode of Crash Course Kids, Sabrina shows us the effects that climate change can have and how one small change in an ecosystem can throw everything off. Climate signals are long-term trends and projections that carry the fingerprint of climate change. Examples of observed long-term trends linked to climate change include rising sea levels, increasing extreme precipitation, and warming sea surface temperatures. Model projections can identify conditions expected in a warming world such as an increasing frequency of intense hurricanes. The Prairie Climate Centre (PCC) is a collaboration of the University of Winnipeg and the International Institute for Sustainable Development, and is poised to play a central role advancing practical climate change solutions for the Canadian Prairies. The Prairie Climate Atlas (PCA) was created by the PCC to answer the question, "How is the climate of the Canadian Prairie Provinces going to change in the coming decades?" The Prairie Climate Atlas answers this important question by providing you with detailed, state-of-the-art yet easily understood information about our region’s changing climate. The PCA is an interactive website that includes climate data, geo-visualizations, and multimedia. Indigenous Climate Action knows that strength lies not only in our words, but also in our actions. Founded in 2015, Indigenous Climate Action inspires action for climate justice, while serving and supporting Indigenous communities to build power and drive climate solutions. They’re driven by an Indigenous National Steering Committee that believes in the power of indigenous communities as agents of change. With their support and guidance ICA will continue to advocate for the rights of Indigenous Peoples as climate change leaders. The Climate Leadership Plan is a made-in-Alberta strategy to reduce carbon emissions while diversifying our economy and creating jobs. The plan is being developed based on recommendations put forward by the Climate Change Advisory Panel. The federal government has announced that provinces must enact an emissions reduction plan or Ottawa will impose a federal carbon tax in 2018. With the Climate Leadership Plan, the government is launching an Alberta-first strategy designed specifically for our own unique economy. We are acting today, before the federal government acts for us. Emissions Reduction Alberta (ERA) was established as a key partner of the Government of Alberta to address climate leadership priorities. Government provides grants to ERA to enable it to fulfill its mandate. This funding comes from Alberta’s large emitters who choose to pay into the Climate Change and Emissions Management Fund as a compliance option if they are unable to meet emissions reduction targets. Their aim is to accelerate development of innovative technologies that reduce greenhouse gas emissions and secure Alberta’s success in a lower carbon economy. ERA works collaboratively with other organizations so that together they can provide whole solutions that help advance technologies towards commercialization in Alberta. Whole solutions include the financing, policy, regulatory, program and business innovation required to successfully implement new technologies. Climate change affects everyone in your community. Everyone is in a unique position to do something to adapt to it, but everyone needs information tailored to their outlook. The Adapt-action tool zeros in on municipalities, describing issues from their perspective, and framing strategies in terms of their mandates and capabilities. However, anyone in the community can benefit from this information because municipal staff and councils cannot create climate-resilient communities on their own. And all approaches to climate change adaptation need to be considered. However, the Adapt-action tool emphasizes proactive, ecosystem-based approaches. Though increasing in use around the world, these tactics are often underutilized, despite being cost effective, representing robust risk management, and providing numerous co-benefits. The Adapt-action tool will assist municipalities and community members seeking these kinds of approaches. Recent experiences such as floods and severe weather events suggest that climate change is a serious issue facing Canadian municipalities. The City of Red Deer is creating a corporate climate change adaptation plan to assess, prepare for and adapt to predicted climate related impacts. This climate change project focuses only on The City of Red Deer's own corporate (as opposed to community) climate change impacts. Responsible management of city facilities and resources is a top concern for us as they strive to be able to effectively deal with change, minimize risks, and bounce back quickly if something severe happens. Red Deer’s Climate Change Adaptation Plan is being developed in two parts. Part 1 (PDF) contains the plan’s overall goals, the anticipated climate change impacts facing Red Deer, and broad groupings / themes of response actions. It was accepted by City Council on March 17, 2014. Part Two is currently being developed and will provide detailed actions under each major theme. It will provide prioritization and implementation strategies around protecting assets and investments from damage, and securing natural and built infrastructure. We need to reduce energy use and emissions in Red Deer, but first The City of Red Deer is looking to the community to help set targets and strategies that are achievable - ones that will make a difference. The City wants to know what changes you’re willing to make as a student, homeowner, cyclist, diesel truck driver or local business, to name a few. They want you to help us all figure out how best to reduce our community energy use and emissions. 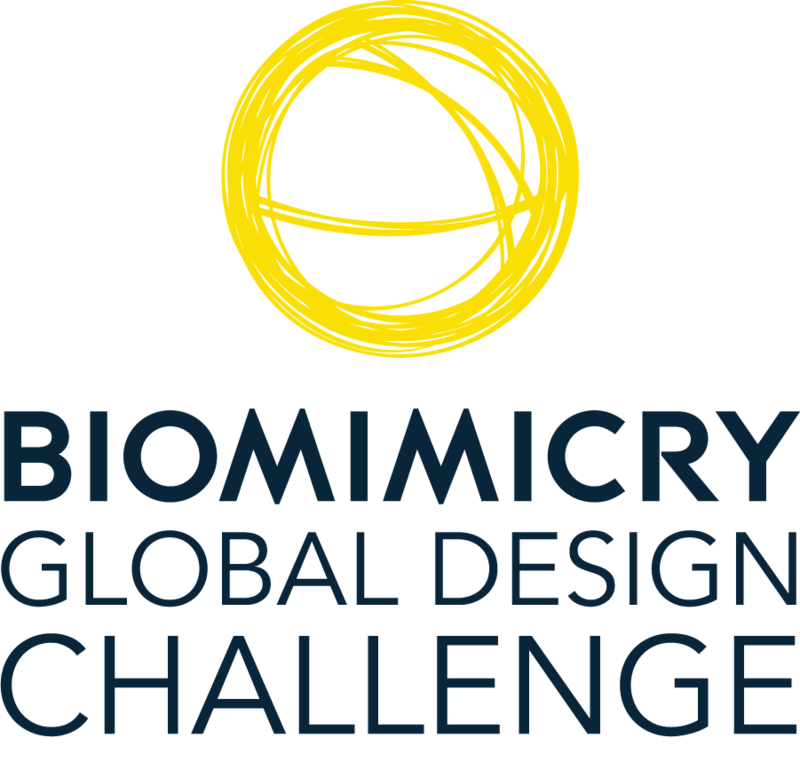 The Biomimicry Global Design Challenge is an annual competition that asks teams of students and professionals to address critical global issues with nature-inspired solutions. The challenge is hosted by the Biomimicry Institute, in partnership with the Ray C. Anderson Foundation. Earth has always been a changing planet, but the climate and ecological changes humans have set in motion in the last century are like nothing our species has experienced before. Hungry for energy, food, and other resources, our growing populations are pushing Earth’s systems toward a frightening and well-documented tipping point. The science is clear, and so is our imperative. To avoid the worst consequences of climate change, the human community must find ways to mitigate and adapt to the effects of climate change - and ideally reverse its dangerous course. The Biomimicry Global Design Challenge calls for design concepts addressing any aspect of climate change adaptation, mitigation, and reversal in any sector of the economy. We know that climate change is a complex problem; a hairy knot made up of hundreds, or even thousands, of other problems all woven together. But this diversity means there are also just as many solutions out there waiting to be discovered. Successful teams will define a concrete, well researched area of focus for their design efforts and apply the core concepts and methods of biomimicry in developing a solution. Of special interest are projects that go beyond familiar approaches to the climate problem by identifying unique leverage points for change, removing barriers to the adoption and spread of existing solutions, and/or clearly demonstrating how biomimicry can lead to new, novel, or more effective solutions. Check out Biomimicry's Climate Change Resources HERE. Drawdown maps, measures, models, and describes the 100 most substantive solutions to global warming. For each solution, the book describes its history, the carbon impact it provides, the relative cost and savings, the path to adoption, and how it works. The goal of the research that informs Drawdown is to determine if we can reverse the buildup of atmospheric carbon within thirty years. All solutions modeled are already in place, well understood, analyzed based on peer-reviewed science, and are expanding around the world. Learn more. Rob Hopkins reminds us that the type of oil our world depends on is steadily running out. He proposes a unique solution to this problem - the Transition response, where we prepare ourselves for life without oil and sacrifice our luxuries to build systems and communities that are completely independent of fossil fuels... using the same ingenuity and creativity that got us to our current level of affluence.